Headwinds and crosswinds all day on top of feeling like I've got a chest infection coming on. Took me 20min to get between 2 of the gates in Richmond Park and I'm pretty sure last time I was there I did a lap in about 25min. Nice tailwind and a clear run coming down Westferry Road this evening made me feel ALIVE for the first time in a while. We have greater demand for lockers in the changing room than we have provision for. To provide a fair service for all, all lockers will be shared, with usage strictly limited to the time necessary to shower and/or change. Personal usage of a locker on an ongoing basis will not be permitted. This will apply from Tuesday 9 April 2019. Failure to do so by the above date will mean your contents being removed from the locker. If not claimed within 1 month they will then be disposed of. If you now need a personal locker elsewhere in the building please contact X to arrange one. Please note that if you need hanging space for work clothes there are wardrobes in [sic] each on each floor. An ideal opportunity to wander the building wrapped in a towel whilst going between the showers, personal locker and wardrobe. elsewhere in the building aka we'll put it in a dark corner of the parking level. Looks boisterous. What was it? Rennes fans on their way to the Emirates? Cheers. I figured football-related. Rennes fans look lively. Srsly I’m enjoying the windy weather though, resistance training innit. Pest from the West is definitely preferable to Beast from the East. Exactly. 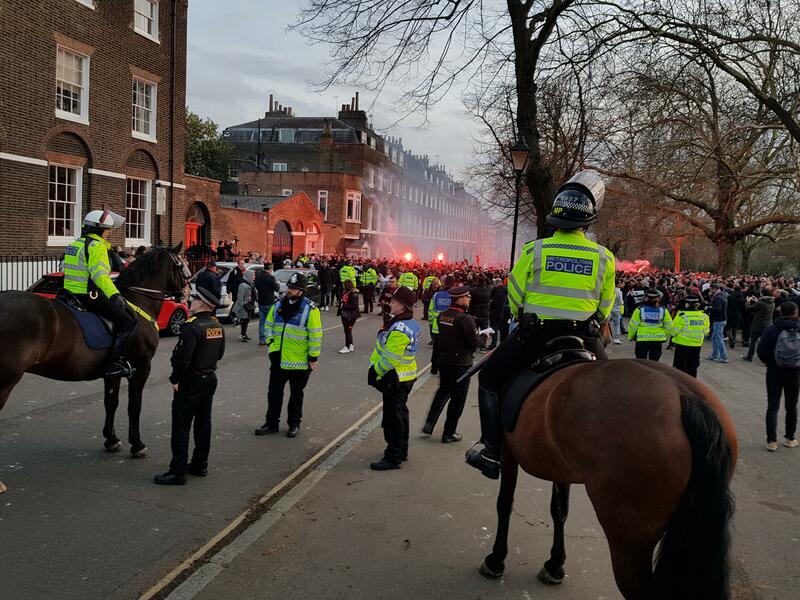 Quite a buzz riding through that at Highbury Fields. Imagine they were somewhat quieter going home. It’s always preferable to be riding east after work, so I agree. Imagine having to live in west london! I'm resigned to dealing with a headwind at least once a day. Point was more about this wind being a good ten degrees warmer than what we were dealing with last year. Discovered today that being 8kg lighter than I was two months ago I've lost significant momentum. 40mph gusts just stop me in my tracks. So not one but two total lads riding brakeless lo-pros near waterloo. I also saw 2 last week! It's more the having to walk to almost the opposite corner of the building (showers on ground floor at one end, my desk/personal-locker is on the 4th floor at the other end of the building) and back in sweaty lycra or running gear in order to get shower stuff (towel, shampoo, clothes, etc). Still more stairs for me (haven't used the lifts in the building since December 2017). Hoping that there have been enough complaints that the idea is canned and ideally the people who have a locker but rarely/never use it will be prompted to give theirs up for the people on the waiting list. The irony of their plan is that people will have to go get a temporary key for a locker so they can use it whilst they have a shower, but everyone who uses the changing rooms leaves their locker open whilst they have a shower.